Humanity 2.0 is an anthology of hard SF and space opera short stories, each dealing with the idea of how interstellar travel (whether from or to the solar system) may alter us as a species. Physiological and social changes are both on the table. This is a bit of a different project for me. 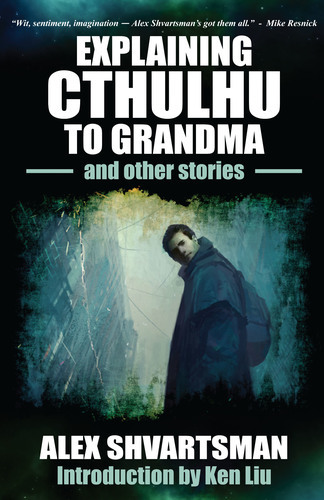 Up until now I’ve edited mostly anthologies of humorous fiction, as well as a couple of books with a tight but at least somewhat-whimsical focus (an anthology of Coffee stories and a fun space opera antho set in a game universe.) So Humanity is arguably my first “serious” anthology, with not a pie in sight of anyone’s face nor a banana peel hidden in the darkness. Can I curate a solid collection of “serious SF”? We’ll find out. You can buy Humanity 2.0 here. And if you happen to have received an early review copy, don’t forget that your reviews are both extremely helpful and really appreciated! This entry was posted on Monday, October 17th, 2016 at 3:58 pm and is filed under Publishing. You can follow any responses to this entry through the RSS 2.0 feed. Both comments and pings are currently closed.